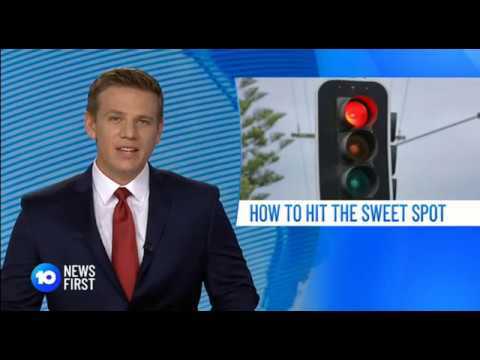 The State?s peak motoring body has spilled the secret on how drivers could trigger traffic lights at intersections. It was revealed motorists could save fuel and time by knowing how to activate the ?sweet spot? at signalised intersections so that the lights changed from red to green. RACQ Head of Technical and Safety Steve Spalding said where drivers positioned their vehicles was the key to a quicker light change. ?Wire loops are embedded in cuts in the road and detect when a vehicle is above and signal when the lights are to change. Vehicles that sit directly above the cuts trigger the lights better than those that sit outside of them,? Mr Spalding said. ?Basically, the loops are trying to detect metal so it can be harder for motorcycles to get picked up.? Mr Spalding said motorists should also avoid leaving large gaps between vehicles when stopped at a set of lights. ?The more metal the loops can detect, the greater chance a driver has of being able to sway the phasing of the lights,? he said. ?It?s also important for motorists to maintain a steady flow of traffic as they travel through intersections so other drivers in the queue have a better chance of making it through on the green.? If we believe in â€œfreedomâ€�, we donâ€™t get to choose whose freedom is most worth defending. Out of 5 million sperm... your the retard that got through? and I thought I was having a bad day! so other drivers in the queue have a better chance of making it through on the green.? Here is an issue, though while it HAS affected me a time or two - I knew about the loops, it was 2 AM or something like that and you know, I just couldn't get the light to change to green my way. Haul me away in chains, I "ran"* the light in the end, after trying everything I could think of, short of calling a taxi to run over the coils for me. * "ran" Hey there was NO traffic the way I was going, or in the opposite direction, so nobody came down the road to face the light the same way as me to trigger the light for me. I must've taken 5 minutes, maybe 10, even doing a couple of "ueys" to line up another position. Nothing worked. ...that was on my last trip to Gympie just before the snow. How long ago was that JS? Is that the near queue or the "more distant" one, the far queue? All times are GMT+10. This page was generated at 11:02 AM.